Bollywood actor Aishwarya Rai Bachchan attends the Filmfare Glamour & Style Awards 2016 in Mumbai. Bollywood actor Rekha attends the Filmfare Glamour & Style Awards 2016 in Mumbai. 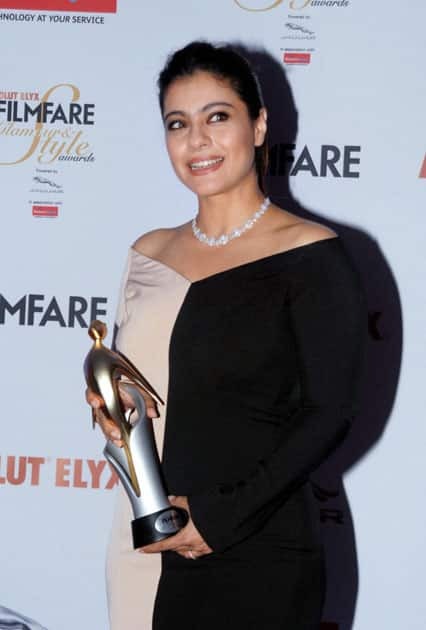 Bollywood actor Kajol attends the Filmfare Glamour & Style Awards 2016. Bollywood actor Katrina Kaif attends the Filmfare Glamour & Style Awards 2016 in Mumbai. Bollywood actor couple Bipasha Basu and Karan Singh Grover attend the Filmfare Glamour & Style Awards 2016 in Mumbai. Bollywood actor Neha Dhupia attends the Filmfare Glamour & Style Awards 2016 in Mumbai.